Capital Captions provides Video Transcription Services for businesses, professionals, students and individuals worldwide. Transcription services can be invaluable in converting audio and video content into a text format which is data rich, searchable, and easy to reference. For many companies, permanent members of staff take on typing duties including transcription, dictation, copy typing and more. During busy periods, members of staff can be overrun and unable to keep up with workloads, whilst during quiet periods, being left on the payroll whilst twiddling their thumbs. For companies, outsourcing transcription services online means freeing up staff’s time for work that needs to be undertaken in-house. Online typing services effectively save company money as clients only pay for work that is carried, with charges calculated on a per audio minute or per word basis. Transcription of both audio and video is a time consuming process. Our transcriptionists are highly qualified and experienced, and are able to work fast so you don’t have to. We provide transcripts that are of the highest standard. Our transcripts are word-perfect against your recordings as well as highly accurate in terms of spelling, punctuation and grammar. Once you have your recorded files and are ready you can then upload them to our secure upload area. To upload your files to us, simply complete the registration form and hit the upload button on our 'upload files' page. Once we have completed your transcription we will send your completed files back to you in a format of your choosing. Upon selecting your transcription style, you will need to complete the client registration form and upload your media file. Your transcription work will then be allocated to the most suitably experienced and qualified transcriptionist. Working within your time constraints, your audio/video will be typed out, proofread and returned to you either via a DropBox link or email attachment, as preferred. For clients with particular requirements in terms of writing style, template or addition of hyperlinks or formatting to assist with indexing, we’re happy to work with external guidelines. Similarly, we can provide additional typing services for any transcription work for audio which needs referencing or comments. This includes copy typing in the form of adding in comments which have been written by clients prior to the transcription taking place or highlighting of a particular word or subject matter during the transcription process. We hire transcriptionists with at least two years experience both within their chosen sector and within transcription services, and where we provide foreign transcription services, we use native speakers. All of our typists are highly educated and possess very fast typing speeds, allowing them to work accurately and to tight deadlines. 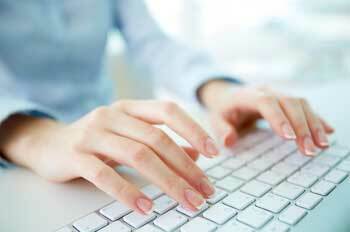 All transcription work is proofread by the typist taking on the work, prior delivery to our clients. For an extra fee, we are happy to provide a second proofread by a second suitably qualified proofreader. We take pride in our ability to work to client requirements and are happy to accept client templates, guidelines, house styles and uncommon format specifications within our transcription services. Our preferred method of audio or video file transfer is via our secure DropBox FTP account. We are however, happy to accommodate our client’s preferences concerning upload of files. We can work with other file transfer protocols including WeTransfer and YouSendIt, and also can work with direct website or social media links (such as for podcasts, social media or video sharing sites). For smaller audio files, we will accept email attachments (though this method is not recommended) and we can even work to traditional methods of transferring files via post or courier. We can work with virtually any audio or video format and also provide services to convert audio and video for our clients into more universally compatible formats. Capital Captions are always looking to recruit new talent in the transcription, translation and subtitling sector. If you believe you have the skills, experience and qualifications, to be a suitable applicant, check out our online transcriptionist jobs.